The super cute but nosey bandicoot from the east. The Eastern Barred Bandicoot is a small marsupial, which means that they are one of those amazing animals that carry their babies in a pouch. They are considered extinct in the wild on mainland Australia. That’s probably why you don’t know much about them. And you probably haven’t seen one before. But with your help, we’re going to change that. It is actually due to the great work and passion of Zoos Victoria and their partners on the Eastern Barred Bandicoot Recovery Team that the bandicoot has been saved from extinction. They have managed to keep hundreds of them breeding and have built them protected homes with the aim of getting them back out there in the wild soon. They are supposed to be everywhere across South West Victoria and Tasmania. But nowadays they are mainly in Tasmania and only found in fenced areas as well as Churchill Island in Victoria. Digging with their long pointy nose is there favourite pastime; they make little pointy holes in the ground all night long in search of juicy worms and bugs. What is really amazing is that they give birth to their babies after a 12.5 day pregnancy, they can have as many as 15 babies in one year and can start making their own babies at 3 months old! 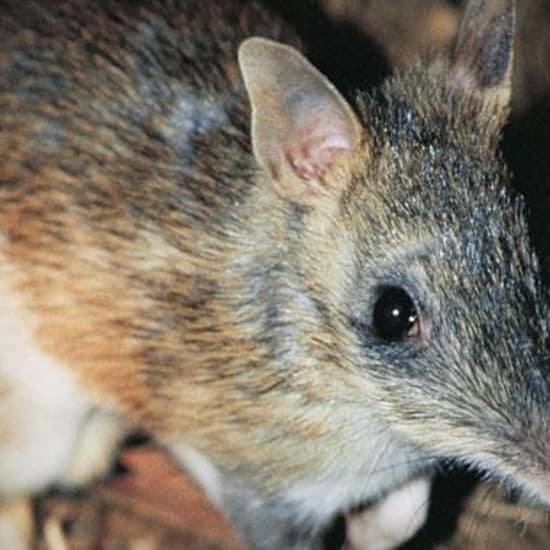 The Eastern Barred Bandicoot is super glamorous with a stunning array of white stripes on their back that is used as camouflage in their grassland homes. Before Europeans arrived they would only be in trouble if a snake, raptor or dingo came by. But nowadays they have foxes and feral cats out there killing them as well. They have also lost a lot of their best homes (grassy woodlands) to us humans. Our aim is to get 2500 of them alive and kicking in the wild in Victoria. The population has increased from less than 200 in 1989 to approximately 1500 individuals today. So we know how to breed them, and now it’s a matter of keeping them comfortable, finding good places to bring them back to the wild and keeping an eye on them. The aim is to get the wild populations back up so they live well without humans having to interfere. But this requires captive breeding, protecting some key places they can live and then fencing some sites where we can easily keep the feral predators out. • $10,000: This will help us with the stud population: At Melbourne Zoo and Werribee Open Range Zoo they have the best animals that they are bred from. This work will continue to support these animals to breed babies for release into the wild, make them more street savvy (improved behavioural fitness), ensure no foxes get in at all and upgrade their homes to make them more comfy for love making. • $50,000: For this amount we can start setting up a new site for over 1000 of them to conquer. This requires a predator-proof fence in western Victoria (800 ha of suitable habitat). We would also get some of those extremely cute Maremma Dogs to trial whether they can protect Bandicoots from predators on a great new spot out west of Melbourne. Having the dogs will mean that we could have a thriving population without the need for big fences to keep the feral animals out. • $100,000 +: What we’d really love to do is release the bandicoots onto French and Phillip Island. Because they are islands we can really get stuck into feral predator control which means they are more likely to do really well. And there will be experts there to help monitor how they are going over the years on Phillip Island. Zoos Victoria are doing all of this work along with a stack of other partners. They have been doing this work for a long time and are perfecting the art of saving these amazing creatures.